The World Series of Poker Europe (WSOPE) tournament series will have its third home in the past four years in 2013, as the popular tournament series moves from Cannes, France to Paris. This is the second move for the tournament series in its seven-year history; in 2011 the tournament series moved from its home in London, England to Cannes, which saw a surge in attendance, but it’s unlikely the current move had much to do with attendance, although no definitive answers were given. The WSOP has tried to expand their brand for years now, but their attempts have only been half-successful and probably well below the original expectations. As much as the poker world has hoped the WSOP brand would translate around the world, the WSOP Europe has never really “taken-off” and has been more or less a gathering of professional poker players than the hoped for secondary site of the massive World Series of Poker tournament series that takes place in Las Vegas every summer. The WSOP Circuit Series was initially created to compete against the World Poker Tour (WPT) and bring the WSOP brand outside of Las Vegas. 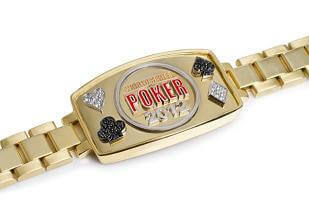 Unfortunately the tournaments have settled in as smaller, regional, affairs with buy-ins of around $1,500. The first attempt to globalize the WSOP brand was the creation of the WSOPE, but as I said above the tournament series has remained relatively small (with less than 10 events) and generally draws a pro-heavy field. The two WSOP events held in Africa have flown pretty much below the radar, even though the 2012 running saw a 300% increase in the number of tournaments, from two in 2011, to six this past year. The latest expansion will begin in early 2013, and the WSOPAP probably has the best chance to make a lasting impact, considering the Asia Pacific market is one of the few poker hotspots that has yet to be saturated with poker tours and events.